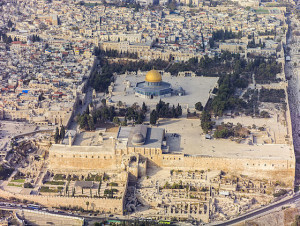 A view of Jerusalem. Jerusalem Day is being celebrated across Israel on Sunday. Photo: Wikipedia. Jerusalem Day is being celebrated across Israel on Sunday, marking 49 years since the capital’s reunification in the Six-Day War. The planned events are already looking towards next year and will mark the beginning of a jubilee year for Jerusalem. In coordination with the day’s festivities, the government has decided to create a museum on the city’s reunification on Ammunition Hill, where the state ceremony to mark Jerusalem Day will be held at 7:30 pm.